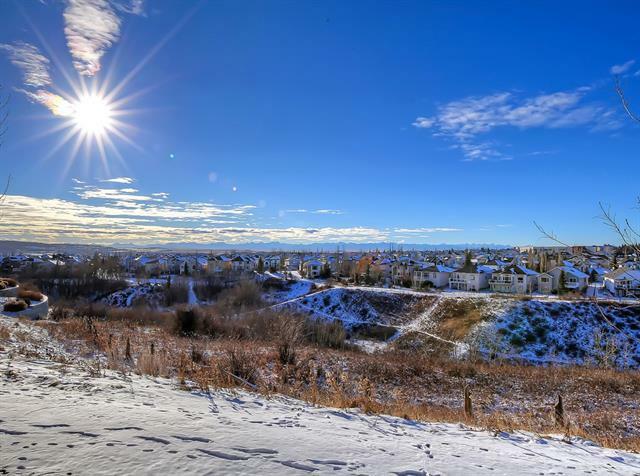 Fabulous 1340 sf single level ground floor unit with the RAVINE and WALKING TRAILS just steps from your PATIO door with spectacular MOUNTAINS VIEWS. 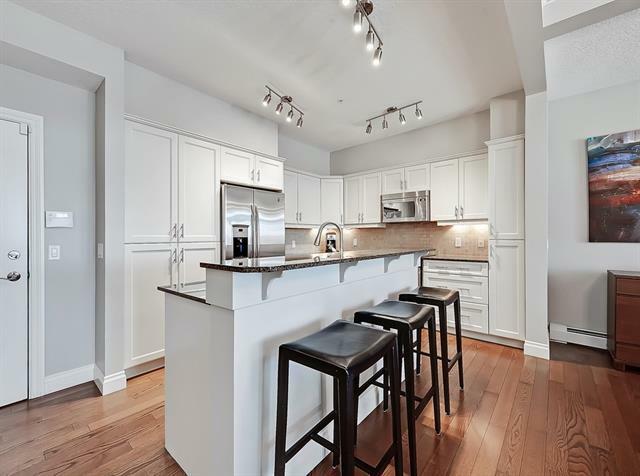 Featuring a bright kitchen with granite countertops, SS appliances, ample white maple cupboards and breakfast bar. The spacious dining and living rooms feature hardwood, detailed ceilings, cozy electric fireplace and wall to wall windows letting in the natural light and access to the private covered patio with gas BBQ hookup! 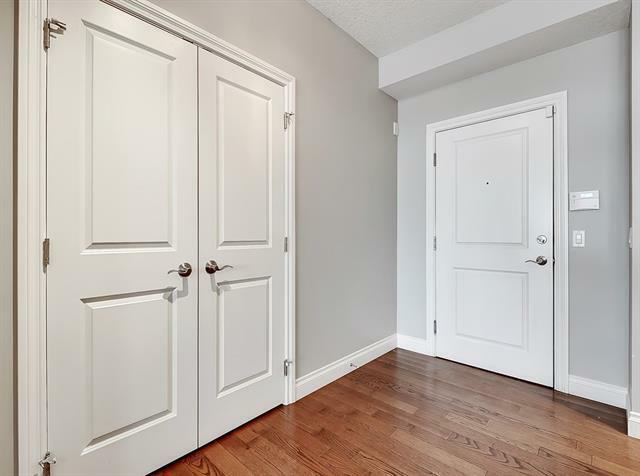 The bright MASTER BEDROOM has a large walk through closet with built-in organizers and white doors, huge en- suite bathroom with deep soaker tub, separate shower and his & her sinks. Your second bedroom is perfect for guests or a large office and the guest 4 piece bathroom is right across the hall! Recently painted, new luxury lighting. Full LAUNDRY room with extra storage . 1 titled indoor heated parking stalls and a titled storage area. 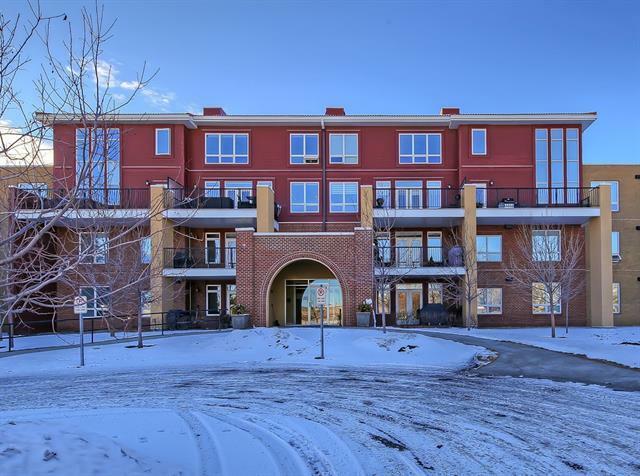 Perfect location close to shopping, the LRT, Crowfoot Shopping and much more. You will LOVE IT.! !